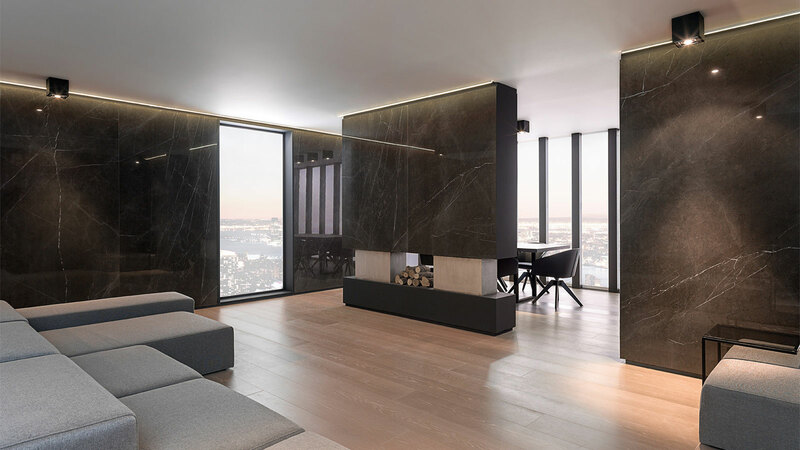 Turned into the home nerve centre during the winter months, fireplaces are an object with an artistic and architectural worship (depending on the context to which it belongs) with new uses and functionalities. Building hegemony and chromatic balance are two of the new requirements that are sought after for these types of pieces. 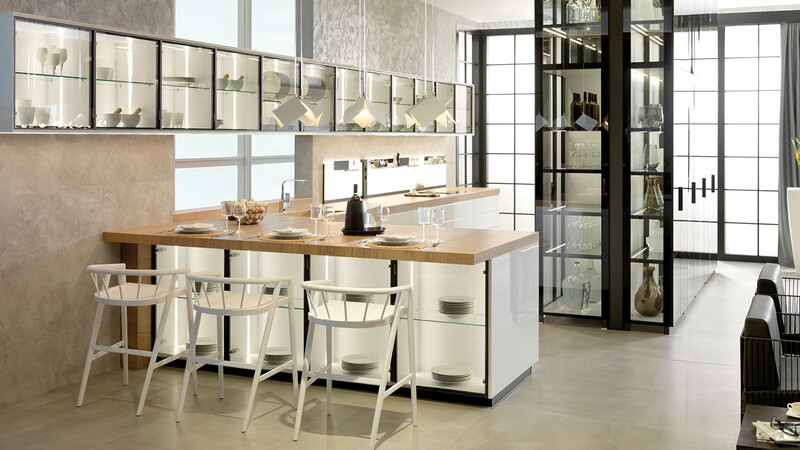 Hence, the importance of the materials and finishes that are used around them which, is an objective that the PORCELANOSA Group floor tiles and wall tiles meet. These are capable of withstanding extreme temperature conditions, as well as remaining unchanged to the wear and tear of time. 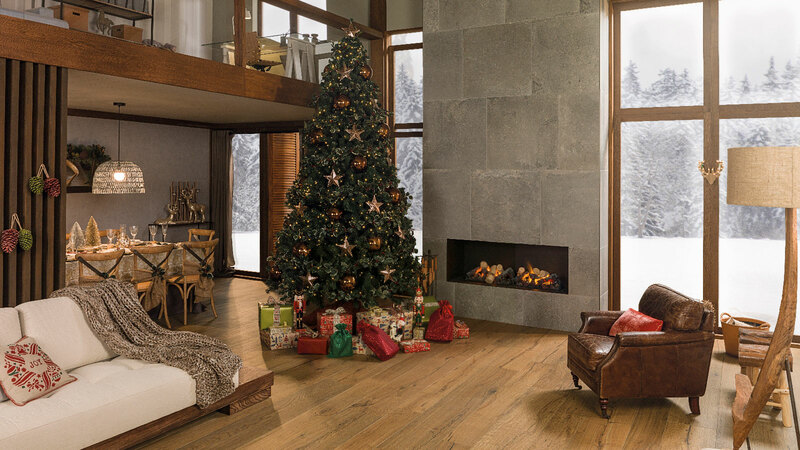 The natural stone wall tiles presented by L’Antic Colonial are characterised by their thickness and firmness. 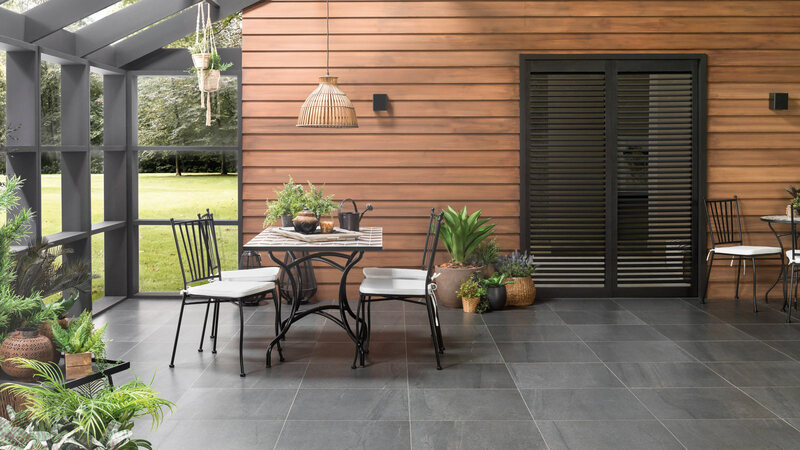 One of them is Airslate, a flexible sheet of natural stone that visually expands the space size due to its material flexibility. A versatile, light and resistant solution that adapts to the walls of the fireplace through a leather effect. 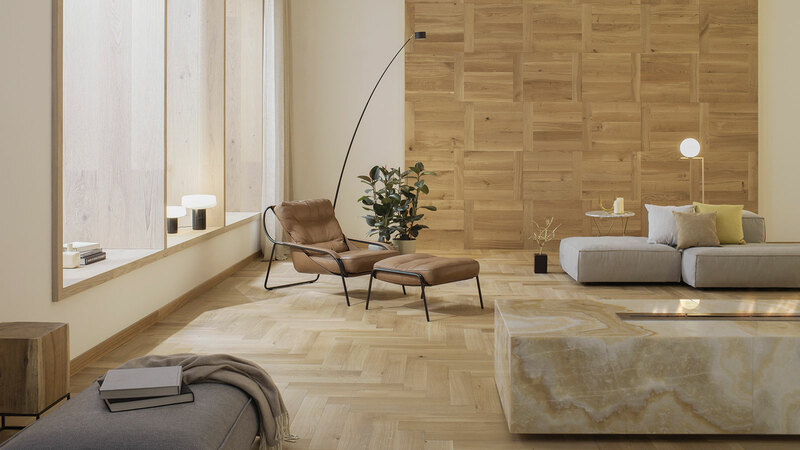 The warmth of the wood and the tile resistance are two of the main properties of the Delaware Nogal series by PAR-KER, a firm from the Porcelanosa Grupo. 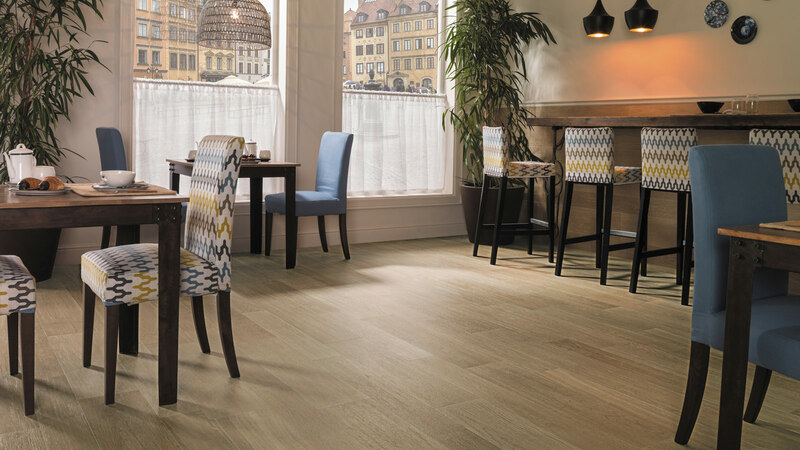 This ceramic parquet enhances heat emissions and it isolates the rest of the set through its resistant composition. A loving home with PAR-KER. 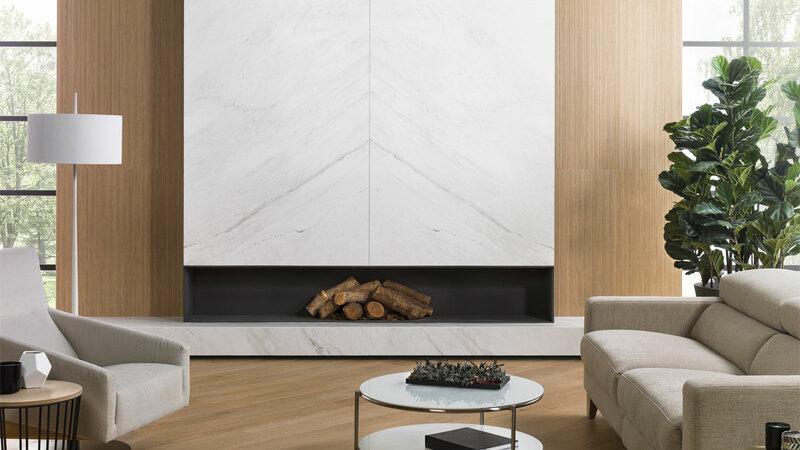 The large size extra-slim porcelain tile created by Urbatek is inspired by the elegance and solidity of marble. 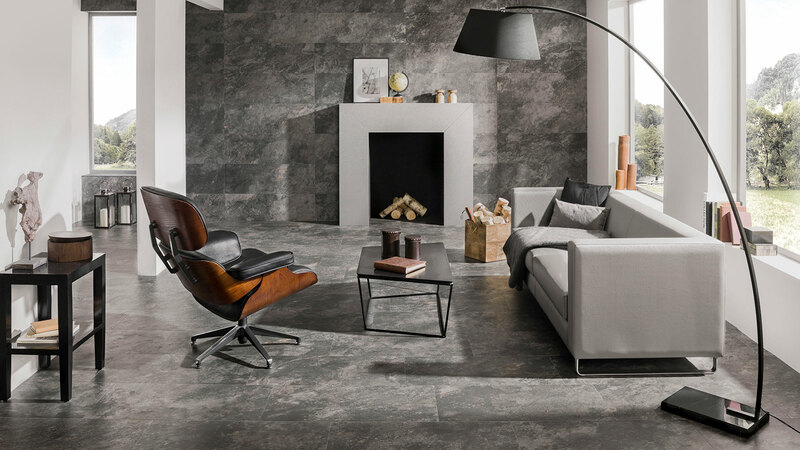 The luminosity of this natural stone is once again present through the veins and shades of this porcelain tile. This is the case with XLIGHT Lush, whose structure allows all parts of the building to be one single set. Sculptural fireplaces with a renaissance touch. The sobriety and elegance of black define the Mirage Dark collection by Venis. 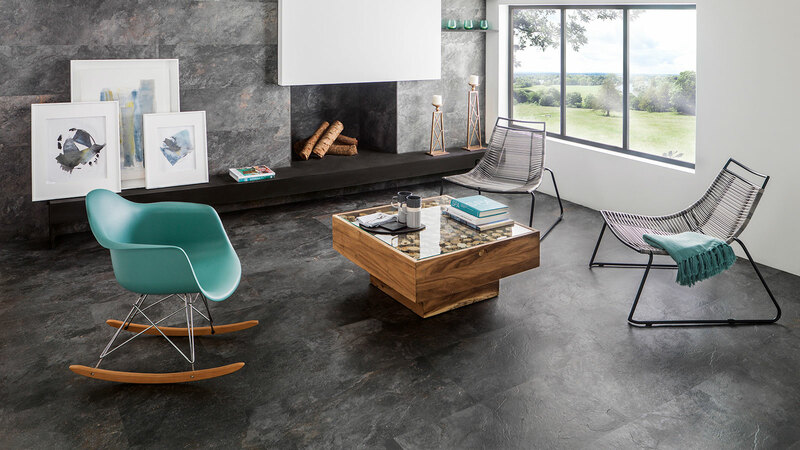 With a stony-looking aesthetic, its versatile pieces can be used as floorings and coatings, refining the aesthetic and capacity of the rooms. Limited collection minimalism. A new fireplace concept. 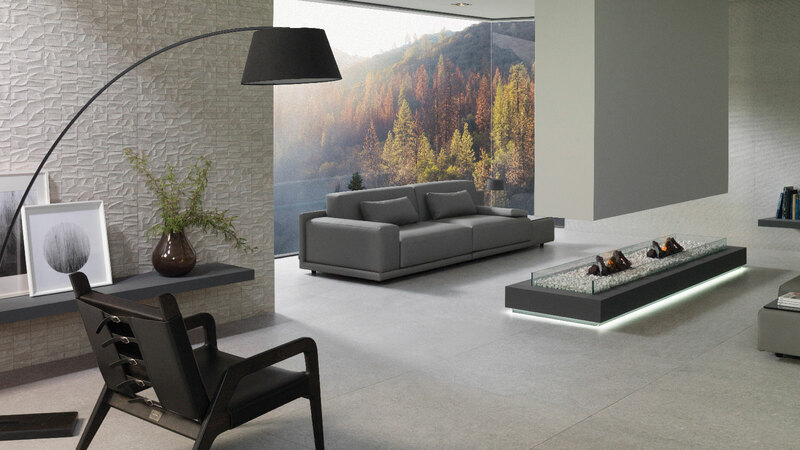 The research and development that Butech has achieved in terms of adhesives, material for joints and building systems, sorts all the thermal and mechanical requirements out, to which fireplace wall tiles are subjected. The firm has a wide range of profiles that protect the corners and placement materials. This is the case of Super-Flex S2 and Epotech Nature, which guarantee the safe installation of ceramics in this type of construction. 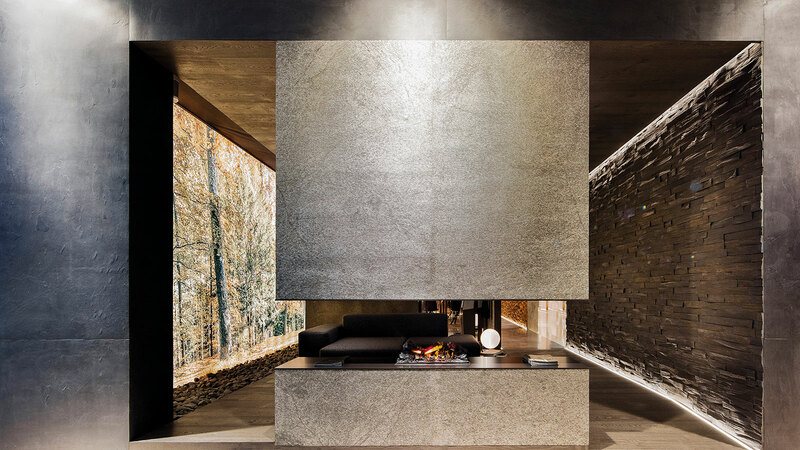 Cutting-edge rustic fireplaces. A Trend for winter.